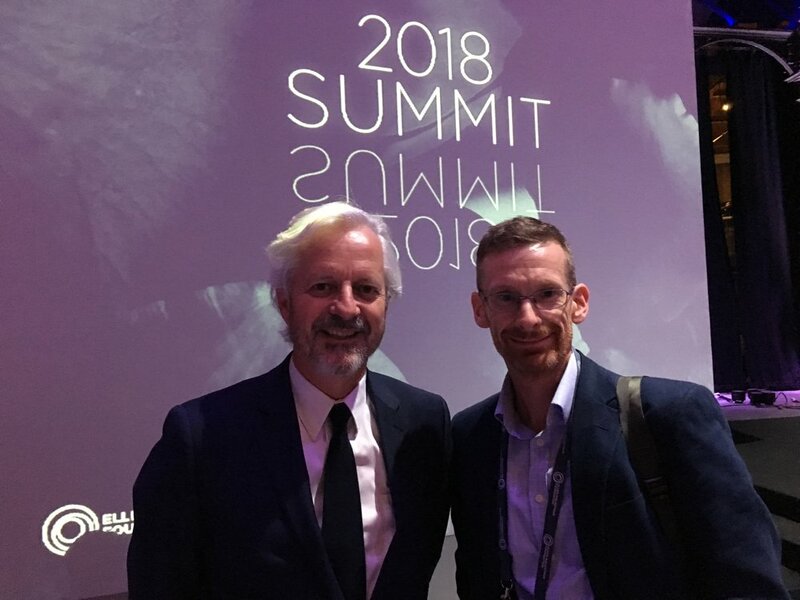 James Griffin from SBN was invited to the recent Ellen MacArthur Foundation’s CE100 Summit in London. Here are the ideas, concepts and examples that resonated most with his experience helping to establish a circular economy in New Zealand. By now the circular economy has achieved high levels of recognition as a solution for low carbon economic growth. But in terms of systemic actions, we are still at the very beginning of the transformational shift we need to achieve a new economy. Momentum is building rapidly. Dame Ellen MacArthur cited the example of plastic packaging. Three and a half years ago 12 CEO’s first gathered to address the problem. Now governments, cities and businesses representing 10% of the global packaging market by weight have pledged to make all their packaging 100% reusable, recyclable or compostable by 2025. At the Summit the strategist Zaid Hassan provided a great perspective on how to change systems from a dominant, broken paradigm like the current linear economy. He used the analogy of cooking. Studying a recipe book for a year isn’t going to make you a great cook. It won’t incorporate elements like love, care and culture. These only come with practice. In the same way to change systems we can’t rely on techniques. We need to change our practices. We must build the muscle memory around them. This means in times of stress they become the dominant behaviour. One suggestion to develop new practices and break current linear behaviour was to construct work teams from different organisations and sectors rather than across internal departments. Harnessing new technologies has long been recognised as a key leverage point for accelerating the circular economy. Right now Blockchain is gaining a lot of attention as a means to unlock a circular economy. This decentralised digital ledger technology has been called the biggest thing since the internet. I’m beginning to realise that it might be. Jessi Baker is CEO of transparency tech start up Provenance. She talked about enabling the transparent real time tracking of resources across the value chain. She described Blockchain’s potential to reward customers of businesses with ‘tokens’. This could unlock profit sharing across an entire user base, not just shareholders. It could become a key way to address inequality. You can read more about this in this newsletter. Kiwi ethical uniform company Little Yellow Bird has just secured investment to develop Blockchain technology in its work. The issues surrounding the exponential growth in technology was a significant feature of the Summit. But a common call was that the key element to harnessing technology for equitable circular progress was about mind-sets and culture, rather than the technology itself. University College London’s Mariana Mazzucato called out the false belief that innovation stems from business rather than the public sector. The technology we use every day such as the internet, touch screens, GPS and Siri all stem from the public sector. Public money was invested before the private sector was willing. This brings into question where value originates and, crucially, how it should be shared. China views the circular economy correctly as an economic development method, not just an environmental management tool. This mindset is enabling China to take significant strides. It was one of the first countries to incorporate circular economy into policy. It is now on the verge of mandating circular economy principles into product design. China has also recently signed a Memorandum of Understanding on the circular economy with the European Union, signalling that we are on the cusp of a mass tilted playing field towards circular business models. The economist Carlota Perez explained that circular economy lifestyles will not be adopted by guilt or fear, but by desire and aspiration. There are signs that shift is beginning. Throughout history lifestyle shifts start at the top income and education scales as well as with the young. We are seeing emerging themes, including natural vs synthetic, organic, wellbeing, electric vehicles, anti-waste and access over ownership. They offer prophetic glimpses of future directions. The call was made for active policies to make these directions the most profitable for business to innovate within. For a deeper and NZ perspective on many of these themes, come to New Zealand’s first Circular Economy Summit on August 29. It is brought to you by SBN’s Circular Economy Accelerator in conjunction with WasteMINZ and supported by thinkstep. Design, Demand, Business Models, Technology Policy as well as a systemic look at the plastics agenda are all themes that will be covered. On an on-going basis we encourage you to engage with the work facilitated by the CEA. This includes events, live projects and access to circular solutions for current business challenges. Together, we are working to accelerate the circular economy in New Zealand.